Worldwide, about 150,000 new blogs are created daily. But could you believe that more than half of these blogs are abandoned by their owners within the first 3 months of their creation? Yes, that’s the truth! The reason is that, most newbie bloggers, after setting up a blog, expect the traffic to flow in spontaneously. And when this doesn’t happen, they get frustrated and abandon their blogs – forever in most cases! Have you just set up your own blog or you’re just planning to create one? Or are you on the verge of quitting because the traffic isn’t coming? Here’s good news: You’ll soon discover 5 surefire techniques for driving traffic to your newly created blog. Never start marketing your blog when you have nothing to offer yet. Start promoting your blog only after you’ve posted enough valuable content to engage your visitors. Some newbie bloggers (probably out of anxiety) start promoting their blogs after writing just one post – one which, usually, won’t be succeeded by a new one until after months! And these clowns expect visitors to check back for more after reading just one post! That’s rather clownish. Once again, to attract readers to your blog, and to retain them as well, you must post lots of quality content – I’ll say at least 10 valuable articles for a start – on your blog. Your blog posts must be well researched, helpful, practical, well outlined, and free of grammatical, typographical, spelling, and structural errors. Only posts with these qualities can fascinate first-time visitors and turn them into frequent readers. If you cannot write such powerful posts yourself, consider hiring a professional ghostwriter. Whenever you publish a new post on your blog, promote it via social media networks such as Facebook and Twitter. This way, your post would enjoy mass readership, as social media will get it across to distances you never imagined. So, if you’ve never tried out this tip, or you’ve abandoned your social media accounts, revive them now because social media really rocks! However, note that only valuable content will spread through social media. Whether or not you’ve encouraged people to share your article with others (it’s better to do that though) they’ll share it if they find it very helpful and valuable. So, strive to make your posts as helpful and valuable as possible. Posts containing problem-solving tips spread fastest and farthest on social media and enjoy the widest readership. Success in any venture comes more quickly and more easily when you collaborate with those who have already achieved it. Blogging is not an exception. If you’re really blogging for traffic, collaborating with successful bloggers will help you succeed quickly. Do you know how? Simply by writing guest posts for their blogs. Most owners of successful, high traffic blogs are too busy to write fresh content for their blogs. So they’ll gladly welcome guest post offers from volunteer authors, provided the posts are of good quality and are in line with their niches. In return, you’ll be given one or two backlinks to your blog or social media profiles, or other destinations. Even though you won’t be paid for guest-posting on another blog, you’ll get the much needed exposure and traffic for your new blog. The more readers the host blog has, and the more valuable your guest post is, the more traffic you’ll attract. 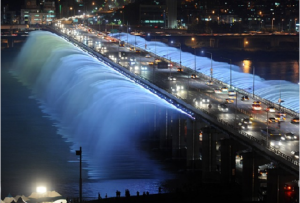 So, write guest posts for high traffic blogs only, since they enjoy wider readership. 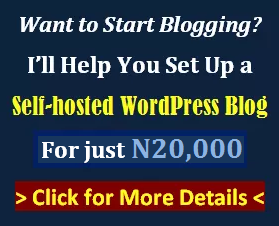 Special forums, such as MyBlogGuest.com, connect guest post authors with bloggers who need guest posts for their blogs. Upon signing up, you’ll see many threads by bloggers requesting for guest posts in various niches. Usually, the blogger discloses vital parameters, such as number of daily hits, Page Rank, and number of subscribers. So, by looking at these parameters, you know which blogs to guest-post for, and what to expect from any blog you choose. Since guest posts must be of high quality, it won’t hurt if you hire an expert ghostwriter to help you write an irresistible, killer guest post. By signing up with and participating actively in as many forums as possible, you’ll successfully drive massive traffic to your blog. However, never promote your blog bluntly, as most forum moderators frown at this. If you do, your post will be deleted and you may be banned. It suffices that you place your link in the signature box, and you consistently post helpful threads and replies to posts. This way, other forum users will “follow you” to your blog even without proactively or desperately requesting them to do so..
You can find high traffic forums at Big-Boards.com, a forum database where active forums in various niches are ranked in order of number of members. Leaving genuine comments on other blogs in your niche is another way of driving traffic to your new blog. After reading a post on another blog, rather than just write commonplace comments like, “nice post” and “thanks for the great tips“, give additional helpful information. Most blog owners won’t frown when you include a link to your blog after leaving a genuine, helpful comment. When you leave valuable comments on a blog, other readers who find your comment useful will feel compelled to follow the link to your blog. When they do, you’ve simply lured them! However, there’s an additional trick to the blog commenting tactic. Always be among the earliest to post comments. If you have your comments among the top 5, many other readers will get to read them, unlike comments placed far below others. To ensure that you never miss this chance, always subscribe to other blogs so that you’ll receive instant email notifications when new posts are published. Most newbie bloggers erroneously target keywords for which the competition is very stiff. If your keyword has more than 5000 global searches (exact match) per month, you’ll most likely have a hard time getting a first page ranking. Imagine a newbie blogger in the health niche targeting keywords dominated by authority sites such as WebMD, MayoClinic, and Nutrition.gov. The bitter truth is, you’re not likely to topple these sites. As a newbie blogger, pick only keywords that attract hundreds to a few thousand hits per month. However, choose as many of these next-to-nothing competition keywords as possible and embed them in the titles of your posts. This way, your blog will quickly rank high for those keywords. If one low-competition keyphrase brings 50 visitors to your blog (though 50 may seem small) you’ll get 500 visitors simply by writing ten posts optimized for similar keyphrases. Of course, 500 visitors from search engines alone is no small number – at least to a newbie blogger. While these tactics will drive traffic to your blog, they’ll also improve its search engine ranking — which will bring even more traffic. 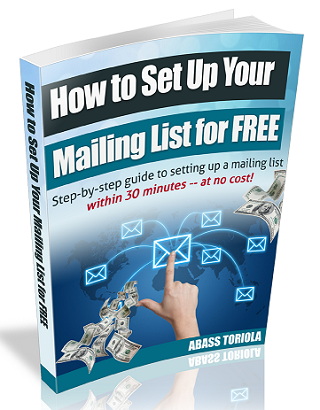 These tactics are very simple and won’t cost you a dime. So, take action by applying them now, and watch your new blog flourish with traffic. I pocketed about $200 (N30,000) within the last 10 days of March 2013 (I was on break for the first 20 days). In April I was able to amass about $550 (N84,000). Now, this is early May, and I already have on my table projects worth more than my April income. Of course, I’m into online business and I work for less than 5 hours on most days. And it may interest you that I don’t work every day. Well, let me come out straight: I’m a blogger and freelance writer. For some time now, I’ve been receiving mails from people who wanted me to explain how they can make money online (from freelance writing or otherwise). At first I tried to respond to each mail. But as the number of emails kept increasing, I found it difficult to reply each. So I felt a smart move would be to share my story and tips on this blog and then share relevant links with anyone who sends such emails again. 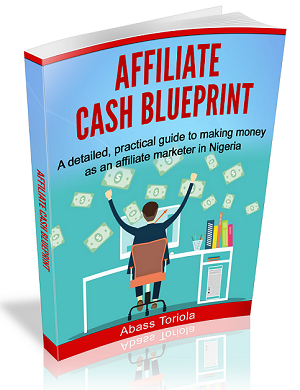 Here, I’ll be sharing my story — not for any other reason, but to prove to you that you too can make money online here in Nigeria. It doesn’t matter if you’re not interested in blogging or freelance writing (or you don’t have the skills). 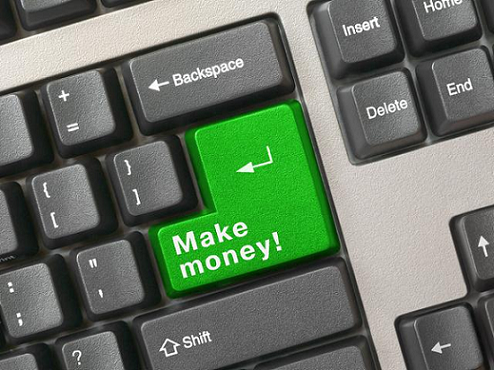 There are many avenues through which you can make money via the internet. Aside my story, I’ll also reveal some truths you need to know about online business. 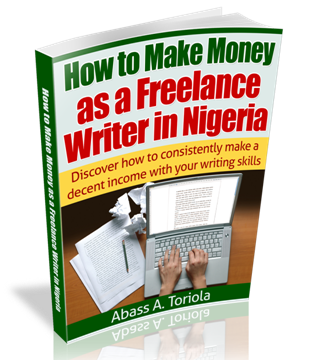 Though I presently earn all my online income from freelance writing, I have in-depth knowledge about many other online businesses. So, you’ll learn from this post, no matter which business you’re aiming at. I made my first attempt to venture into online business in 2005, when I stumbled upon some websites that promised to pay members for reading emails. I soon discovered that most of these websites were scams. And the few genuine ones among them offered insanely meagre rates that won’t add up to $10 in one year. So, I backed out. In 2006, a friend introduced HYIP (high yield investment programs) to me, and I quickly jumped at the opportunity. But I soon got burned after transferring my funds to a “high paying” website, which turned out to be another scam. Again, I retired from online business. For the next 4 years, I stayed away from online business. Each time I came across a business that seemed promising, my sad experience would quickly discourage me. In 2010, I went into bulk SMS reselling. I was very zealous, and I adopted every strategy that could attract clients to the business. Yet, no success. After about 7 months of running the business in mediocrity, I closed shop. However, what seemed to be my breakthrough came in August 2011, when a close friend to whom I’ll forever be grateful introduced freelance writing to me. He had been writing since 2009 and had observed that I had the required skills and equipment. My friend explained to me everything about freelance writing: basic terms I must understand, how to hook up with clients via outsourcing sites, how to handle projects, how to convince clients to choose my bid, how to satisfy my clients, and virtually every piece of information I needed to get started. Scriptlance.com was my first ever source of reliable online income. I registered with the site and luckily got my first client within 3 days — even though I had no writing sample to show. In October 2011, I got a new client — an Indian medical doctor — who hired me on a long-term deal. I wrote about 15 articles for him every week. Although he paid me rates that I now laugh whenever I remember, I was glad that I got a promising online business at last. Then came January 2012. More clients came my way, and I started earning a healthy monthly income. Along the line, I raised my rates gradually, and my clients were paying readily. I was paying my bills and I even had some amount — though small — to save monthly. But something happened on July 9, 2012, which I won’t forget anytime soon. Scriptlance.com was acquired by Freelancer.com. At the time, I was ranked the 3rd best writer on Scriptlance — a feat which helped me win new projects easily. So, you can imagine how devastated I was. Freelancer was a no-no for me. Though I had registered there since I started this business, I never liked the site because of the stiff competition. It had millions of registered members, and each project attracted hundreds of bids — unlike Scriptlance, which had much less members at the time. After some days, I put the bad news behind me. (Of course, life must continue.) I mailed all my clients, telling them that I’m still available for their projects, the demise of Scriptlance notwithstanding. Many of them kept hiring me repeatedly. And in fact, I’m still working with some of them to date. In late 2012, I registered with Elance, and I was able to get some new clients with my huge portfolio. But my orientation changed afterwards. I realized I’d been somehow unfair to myself by working at bidding sites for so long. So, following the recommendation of some expert writers, I started my new blog (ContentMarketingPlus.com) in March 2013. And since then, my monthly income had multiplied exponentially, my rates increased, and I landed more jobs. Now, my monthly income trumps the monthly salary of most 8-4 workers in Nigeria. (No bragging intended.) Yet, I work for less than 5 hours daily (not even daily — I don’t work every day). To date, I’ve written more than 1000 pieces of content — articles, ebooks, reports, sales letters, newsletters, etc. Yet, I’ve not even neared the peak I’ve always dreamt of. Even though I’m still experimenting with blogging, website flipping, and affiliate marketing, I’m yet to hit it big with those — despite my deep knowledge about them. So, as of present, all of my online income is from freelance writing. UPDATE — March 5, 2014: I’m now making additional monthly income through affiliate marketing and information marketing. In subsequent posts, I’ll be sharing tips on how I set up these additional income streams. My friend, you too can convert whatever skills you have into money. You don’t have to be a writer. You may be a web designer, a graphics designer, a translator, a fast typist, or a programmer (in fact, these people earn more than writers do). Whatever skills you may have, there are clients out there ready to hire you and pay you well. If you’ve got an interest or some knowledge that other people would be eager to learn from you, online business is for you, too. Online business is just as challenging as offline business — it’s not easier, except that you can run it from your home. At least, you should know from my story that online business isn’t that easy. In fact, some people had challenges that are more harrowing than mine. At the outset, many harsh factors will play against you. Depending on your chosen business, these factors include competition, lack of time, inconsistency, difficulty in landing clients, low traffic, brain block, etc. But you’ll succeed only if you’re determined to keep going strong. In short, online business has its own dark sides, which most people never told you about. So, if you think online business isn’t just for you, don’t go into it at all. But if you’re interested in it, jump-start it now with great zeal. And you’ll succeed. After I discovered that more Nigerians are becoming interested in online business, but aren’t getting enough information on how to start, I decided to set up this blog. With time, I hope to make this blog the premier online resource and guide for Nigerians aiming to start their online businesses. The blog would feature very informative and valuable posts, expert interviews, tutorials, and more. In addition, I’ll readily answer questions anyone may have to ask about online business in general. Sometimes, these answers would be published as blog posts — for the benefit of many visitors to this blog. So, if you think my story motivated you in some way, please “like” the Facebook page for this blog (see right or visit: https://www.facebook.com/WebIncomePlus) and subscribe to receive email updates as soon as new posts go live. This way, you won’t miss out on the valuable posts that I’ll be publishing on the blog from time to time. Are you interested in online business? Do you have any questions about online business? Then let me have your questions in the comments.